The price is too high for me. Can I offer a lower price? You will receive an email notification about the designer's decision. 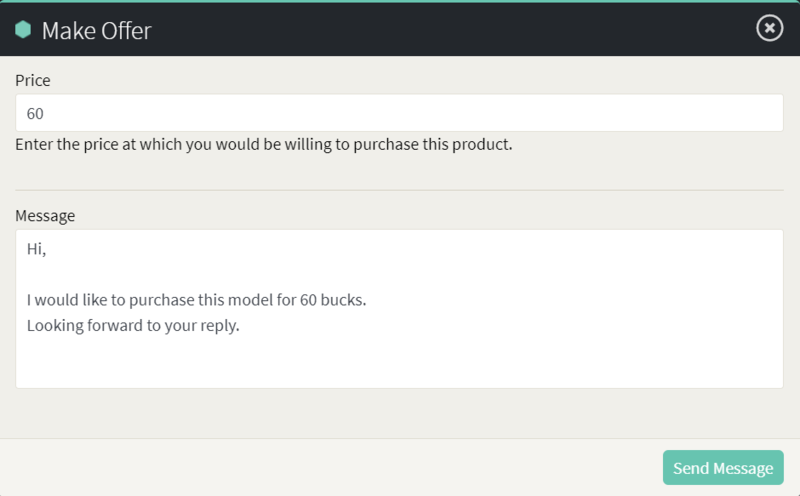 If the designer accepts your offer, you can purchase the model at a lower price.